The Torch’s Indigenous Arts in Prisons and Community Program marks its 10th anniversary with Confined 10—its largest exhibition to date, featuring in excess of 200 artworks from over 190 Indigenous artists. 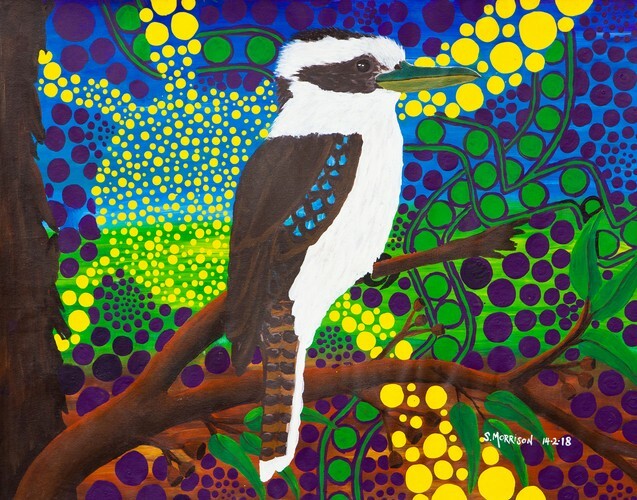 The beautiful artworks are an expression of resilience, strength, the importance of cultural connection and the hope of a better future from Indigenous artists who are currently in prison or who have been recently released from incarceration. In celebration of 10 years, The Torch recently released a hard cover book Indigenous Artists – A Selection of the Best – The Torch Collection. The strength of artwork created through the program is featured across 152 pages showcasing 126 artworks from 77 men and women in the program. The exhibitions provide income to the artists with 100% of the sales going to the artist. Post release participants receive the full sale value of their artwork directly whilst the proceeds for artists still in prison are held in trust by Corrections Victoria until release.